New White Paper, “Inland Towboats: Applying Modern Design Methods to Inland Towboat Hull Shapes” by Joshua Sebastian, P.E. Houston, Texas – November 7th, 2017 – A white paper called “Inland Towboats: Applying Modern Design Methods to Inland Towboat Hull Shapes” by Joshua Sebastian, P.E., Engineering Manager of The Shearer Group, Inc. published in the White Paper digital issue of Maritime Reporter & Engineering News. You can read the white paper by clicking the link below! White Paper, “Designing for Efficiency” by Greg Beers, P.E. 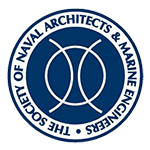 Bristol, Rhode Island – July 24th, 2017 – A white paper called “Designing for Efficiency” by Greg Beers, P.E., President of Bristol Harbor Group, Inc. (BHGI) and The Shearer Group, Inc. (TSGI) was published in the White Paper digital issue of Maritime Reporter & Engineering News. Bristol, Rhode Island – August 10th, 2015 – A white paper called “The Future of LNG as a Fuel for U.S. Vessels” By Greg Beers, P.E., Bristol Harbor Group, Inc.’s & The Shearer Group, Inc.’s President, and Stan Youtt, a Bristol Harbor Group, Inc. Senior Naval Architect. Seabrook, Texas – November 14th, 2014 – The Shearer Group, Inc. is excited to share with the marine industry a paper on z-drive technology called INLAND TOWBOATS The Next Generation by one of our own consultants, William Stegbauer! Please click on the link below to read the full paper. INLAND TOWBOATS The Next Generation by Greg Beers, P.E. and Ed Shearer, P.E.